Could Fan TV be the revolutionary cable box we’ve all been waiting for? If you were to look at a time-lapse video of the average home entertainment system over the last 10 years, you’d probably see a lot of changes – the move from a CRT TV to a flat panel, a Playstation 2 to a Playstation 3 or 4, the addition of a Roku or Apple TV. But amid all of that change one box would remain mostly unchanged: the cable box and its old-school, monster-sized remote. Sure, the box might get a little smaller, and the remote a little more colorful. But for the most part, the way we interact with our cable service hasn’t changed much at all; it’s still the same boring, low-resolution, grid-based nightmare it’s always been. But thanks to a recent partnership with Time Warner Cable, a San Francisco startup hopes to change all that with its revolutionary new set-top device, Fan TV. Unveiled this morning, Fan TV will launch for TWC subscribers in the coming months, and it will bring along with it an intuitive and elegant new means for watching live TV and on-demand content, as well as select streaming, all from a fully searchable interface. Fan TV wowed attendees of the AllThingsD: D11 conference last year when it premiered its elegant little system, which consists of a succinct set-top box rounded on all sides, an intuitive interface, and a sleek little remote, which trades the gigantic wand littered with multi-colored buttons for a smooth, button-less device that’s more trackpad than remote. With Fan TV, users will be able to perform broad searches for select movies and other programming over multiple content sources, including (for now) Time Warner Cable’s live TV and on-demand content, as well as a slim list of streaming services such as Verizon’s Red Box Instant, the video streaming site Crackle, Rhapsody music, and a video downloading service from Target called Target Ticket. Users will immediately note the lack of any “timeshifting” or DVR storage capabilities for the device, which could be a major roadblock to its broad adoption. And perhaps just as important is the lack of any real players in the streaming game such as Netflix, Hulu Plus, or Youtube. Still, like so many devices before it, securing the most popular apps often takes time and perseverance, and the system will likely look to add more options to its inventory in the near future. Then again, maybe not. The future of Fan TV could rest largely on the outcome of a proposed merger between Time Warner and the most powerful service provider in the land, Comcast. Should that merger progress, it’s hard to say what will happen to Fan TV, and whether or not a Netflix app, at least, will be in its future. Though Netflix and Comcast have worked together in recent months with an agreement for Netflix to pay fees for better access to Comcast’s Internet pipelines, the relationship between the two has been volatile, and Netflix has since denounced the deal, as well as the proposed TWC merger, publicly. The Fan TV is being offered now for a pre-order price of $99 – right inline with the top media streamers like Roku, Apple TV, and Amazon Fire. 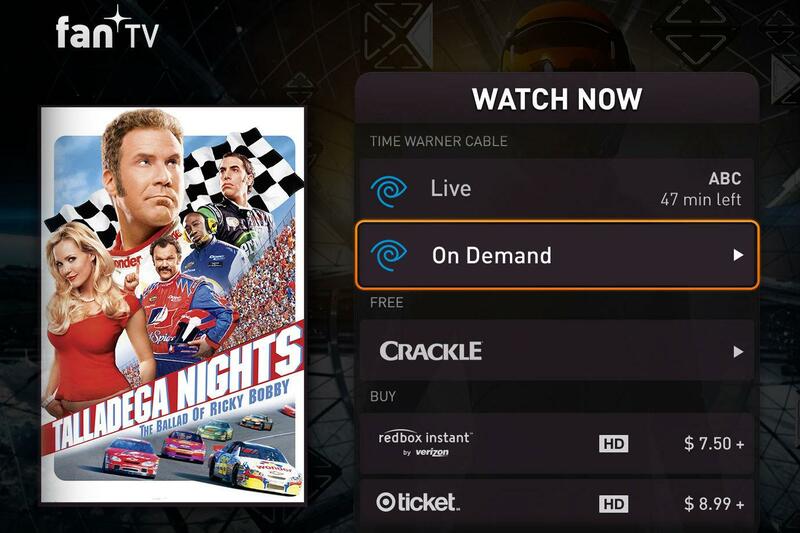 Once available, Time Warner Cable subscribers will be able to upgrade to the device with no additional charge … for now.